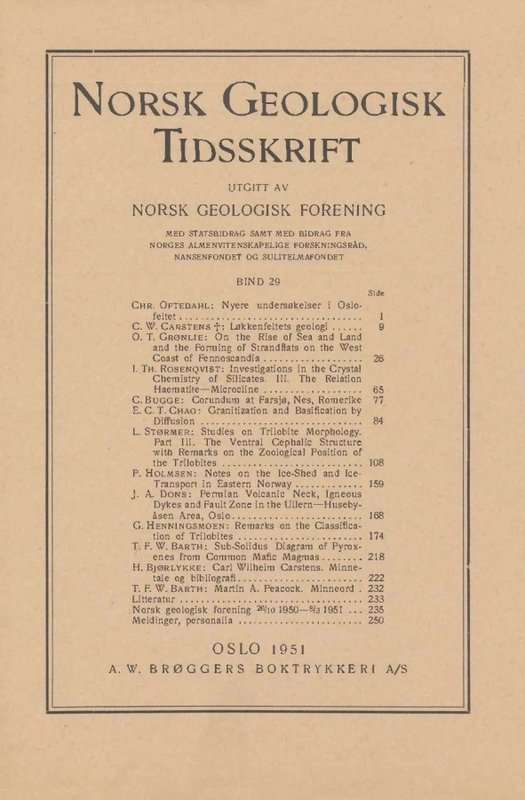 In 1940 the present author published a paper, "On the Traces of the Ice Ages in Nordland, Troms, and the Southwestern Part of Finnmark in Northern Norway" (4). This paper was meant only to be a preliminary communication as the material used there was partly insufficiently worked out. Many localities had not come into their proper places, some of the shorelines were doubtful, and a coordinate system, which was tentatively introduced, was less practical in use, etc. I therefore found it necessary to reconstruct the diagram, Pl. Il, extensively. During the five years of war and occupation only little work could be done, and collection of new material was praotically impossible. On that account I have been compelled to work with the material which was at hand, and for the rest utilise in the best possible manner the points of the diagram. It is the result of this work which is presented here.